This is a project we did over a month ago but I didn't get a chance to write about it. When summer gear at stores went on clearance, we were able to score a pool noodle at half off. 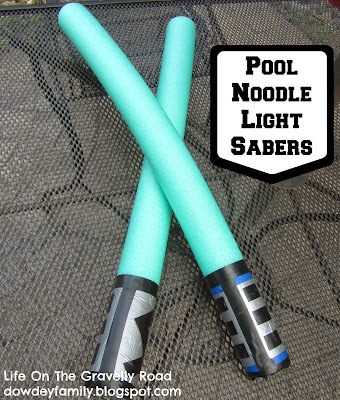 There were several projects I was considering for the pool noodle (since we don't have a pool or frequent a lake often enough to use it for swimming). I pulled up a few on pinterest and my son thought a pair of light sabers would be fun. Loved that this one was so simple to do. 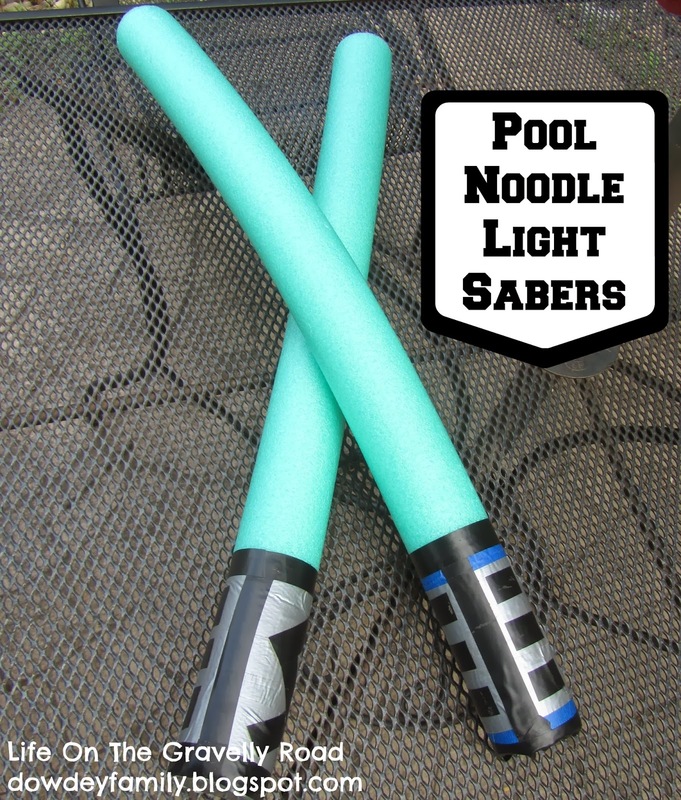 I cut the pool noodle in half. Covered the bottom portion with duct tape to make a handle. Then we decorated it with electrical tape and painter's tape. The kiddo and I had an epic backyard battle that afternoon. He thought I was being crazy when I was trying to add the appropriate sound effects to our battle. He and Dad later had a big battle as well. He was pretty excited to use them whenever a friend comes over to play.